With all the stresses of life it’s easy to get stuck in a routine. In between working, sports practices and other extra-curricular activities, family fun time can fall by the wayside in favor of hectic schedules. Everyone’s heard the phrase “a family that plays together, stays together.” Playing together is an essential trait of happy, healthy families. Of course, consistency and routines are important but so are spontaneous family adventures. Taking a break and spending time with family opens communication lines, relives stress and builds lifelong memories. 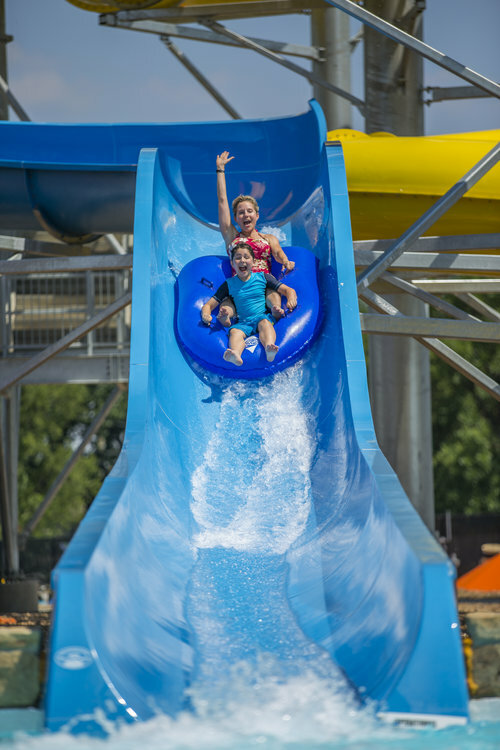 If you’re looking to have a family fun day, spend a day at Hawaiian Falls! Since 2003 Hawaiian Falls has been dedicated to bringing families closer together. With five locations in the Dallas-Fort Worth and Waco, there’s a location close to you no matter where you live. Whether you are looking of a relaxing day in the sun or thrilling water slides, there’s something for everyone in the family. Playing together as a family is one simple area of life that can yield incredible benefits for you and your family! Purchase tickets online here.